Even if you enjoy cooking, sometimes it feels like a chore, coming up with tasty nutritious and healthy meals on a daily basis. That's where the range of Tilda rice offers a helping hand. 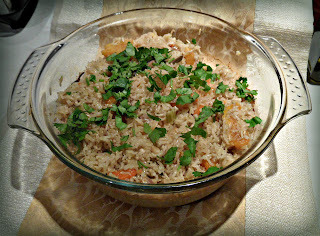 Their rice gives you an opportunity to make some shortcuts in the kitchen and offers more choice than ever before. 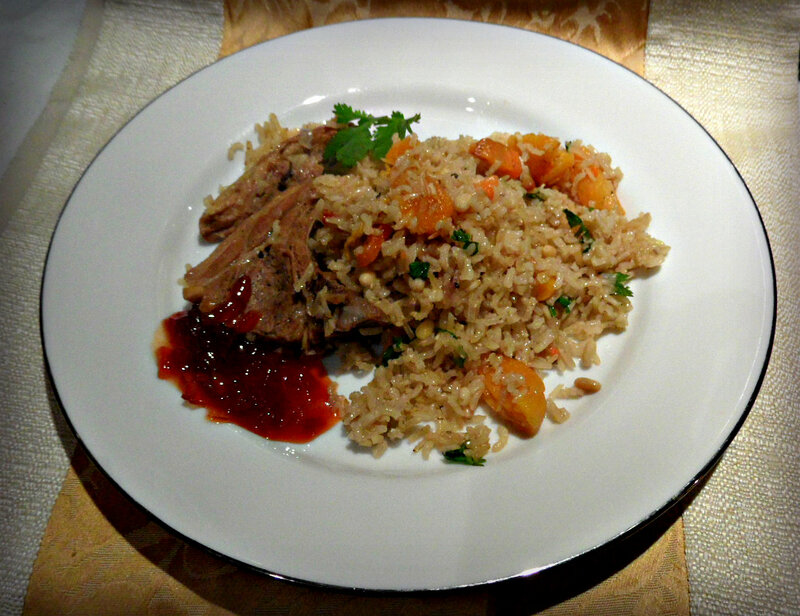 If you are short of time, the pouches of steamed basmati rice come very handy. 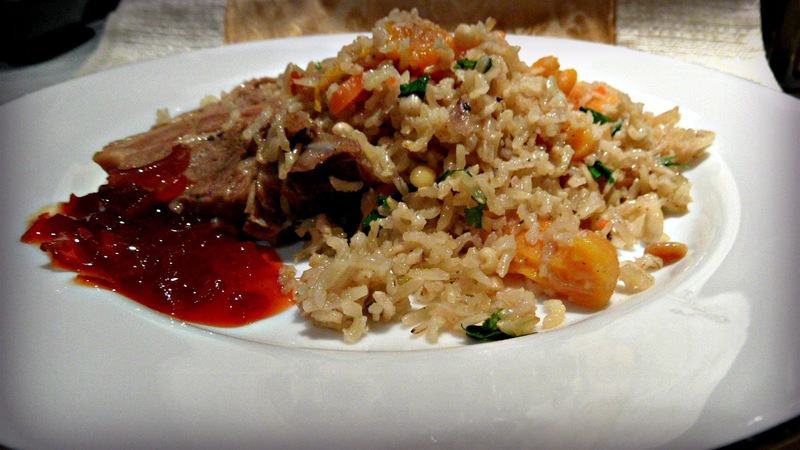 If your family is happy to wait for their dinner, use the wholegrain basmati grain (uncooked). The choice is yours. In a frying pan quickly brown the lamb chops on both sides. Once nicely browned, place them at the bottom of a deep Pyrex dish. Chop the red onion and fry it in the olive oil until translucent, add to the lamb. 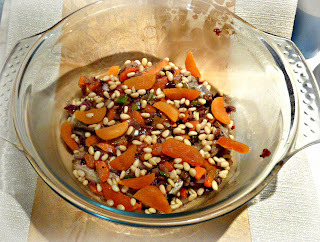 Slice the carrots and celery and again give them a quick fry. Put them on top of the lamb chops. 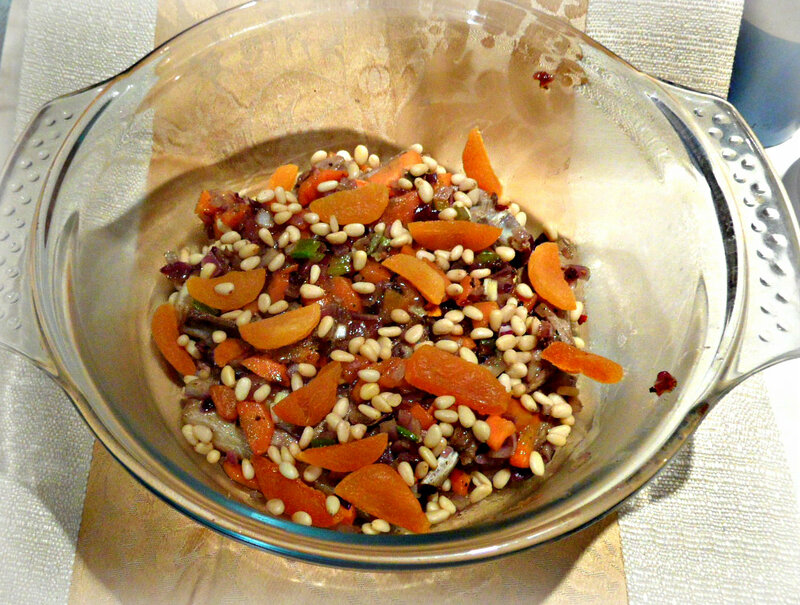 Add sliced dried apricots and a handful of pine nuts. 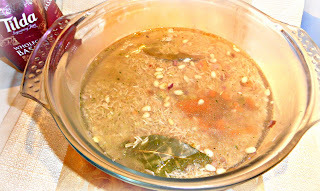 Add the hot stock, ratio - 1 mug of rice to 2 mugs of liquid. 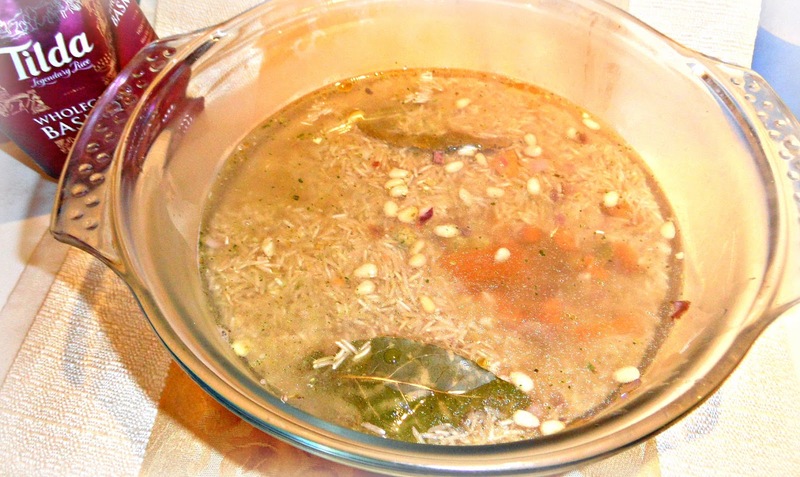 Place the Pyrex in the oven preheated to 180C and cook for an hour or so (check the rice a few times, stir it, so that the top doesn't go dry).You might want to use the lid after the first half an hour. Take the Pyrex out of the oven and add some chopped fresh coriander. Serve with a good dollop of the chilli jam for an extra kick. Tilda Wholegrain Basmati rice has a delicate nutty flavour. It is "the classic grain with all the natural goodness and flavour of the bran untouched". 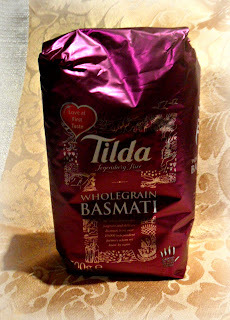 I applaud Tilda's slogan on the pack "We select this unique fragrant and delicate Basmati from over 10,000 independent farmers whom we know by name". My regular blog readers might remember that I have written about Tilda rice before. 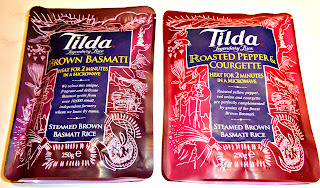 I often use steamed rice pouches from Tilda, as they are a versatile and convenient ingredient. And the choice of flavours is very impressive too. 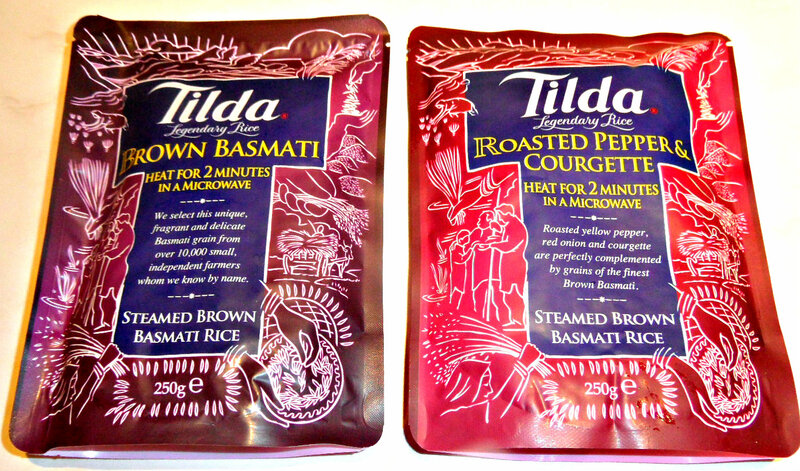 To explore the full range of Tilda rice, please visit the Tilda homepage. One of the easiest ways of using Tilda rice is to stuff pepper halves with it and roast (add a bit of liquid to rice so that it doesn't go dry). 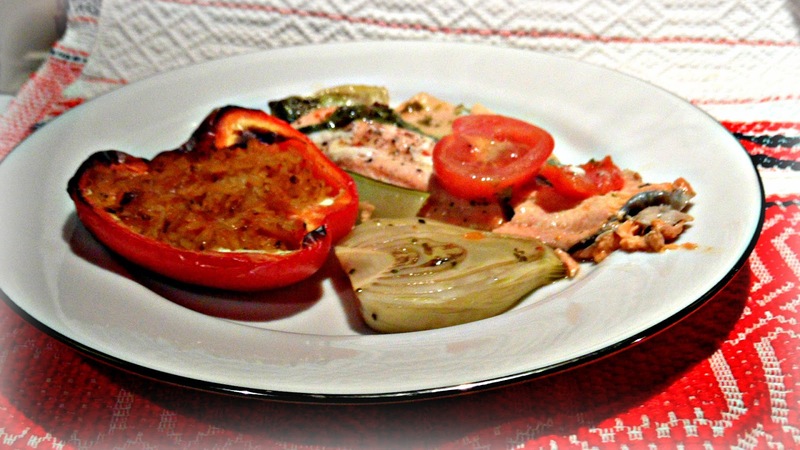 Serve a fillet of trout with a sweet pepper stuffed with Tilda Sundried Tomato steamed basmati rice, which includes sun-dried tomatoes, passata and red pesto. 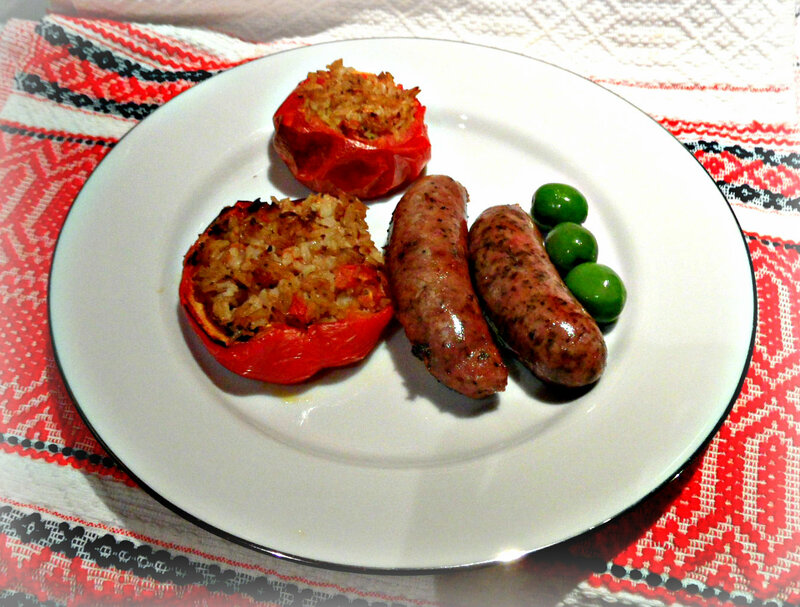 If you enjoy hearty sausages, then Tilda Roasted Pepper & Courgette (with roasted yellow pepper, red onion and courgette) will be a fab side dish (again roasted in pepper halves and tomatoes). This brown basmati rice is healthy and tastes lovely. The choice is so varied that you will surely find some that would suit your preferences and tastes.